Heute nachmittag bin ich weiter gefahren, nicht weit, zu dem kleinen Ort Egmont. Hier liege ich jetzt in der freundlichen Backeddy Marina und genieße das schöne Wetter. Einige griechische Familien aus Vancouver feiern zusammen auf dem Campingplatz und die Männer haben heute viele tolle Fische hier gefangen. Nachdem wir uns länger über Boote und Fischen unterhalten hatten, gaben sie mir ein schönes Filet das ich für den nächsten Ankerplatz aufheben will. Als Gegenleistung wollten sie nur einen zinslosen Kredit den sie nicht zurück zahlen müssen (habe ich als Scherz aufgenommen). Heute Abend war ich im Pub hier und habe auf dem Weg ein Ehepaar getroffen, mit dem wir 2002 in Tonga Segeln waren. Spend the evening in a small bay all by myself, not much going on here yet except a few seals and eagles coming by to check me out. 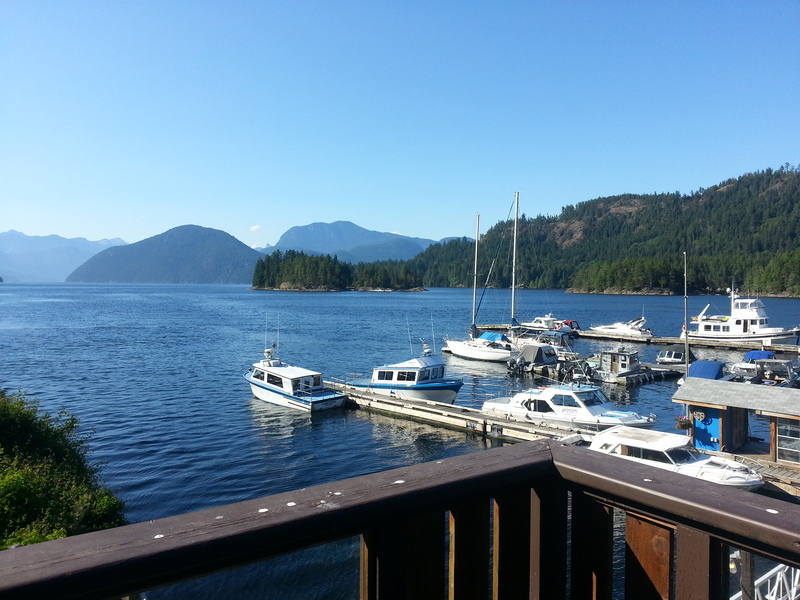 I moved on a little, to Pender Harbour where I intend to stay for a few days. The weather is hot and sunny, even the water has warmed up to 20 degrees, but I have not been swimming yet. 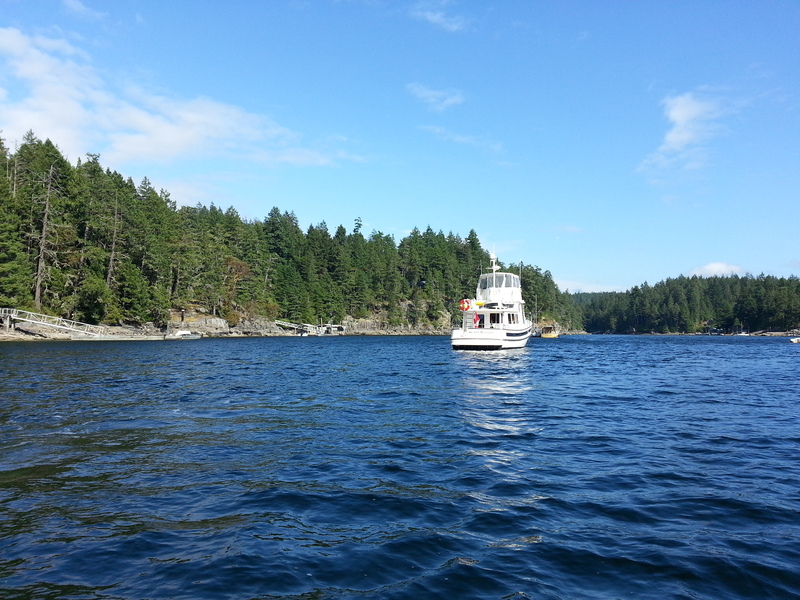 I went North today and now am anchored in Secret Cove. The pub and restaurant are not yet open for the season, there are very few people and boats around, but the scenery is very pretty. 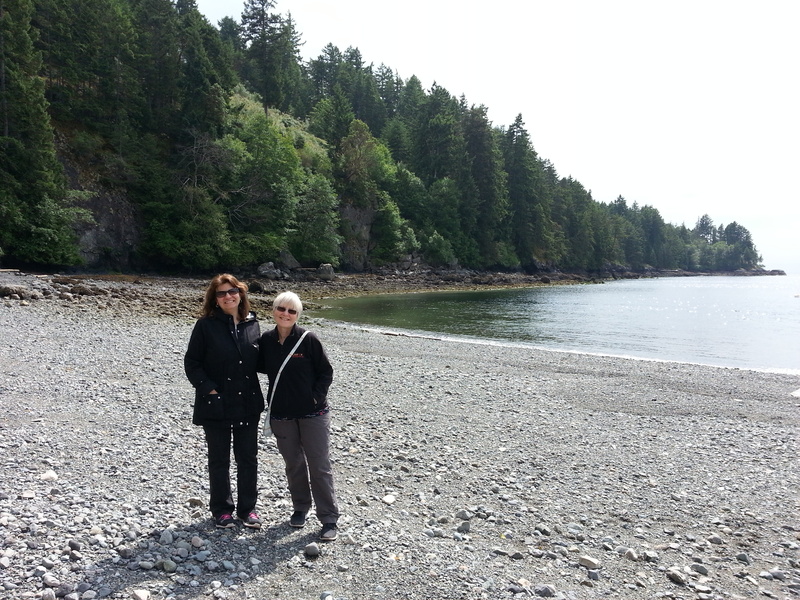 We are in Snug Cove on Bowen Island and Al & Elena visited us yesterday. We enjoyed a nice tour of the island, a great dinner and lots of interesting discussions. 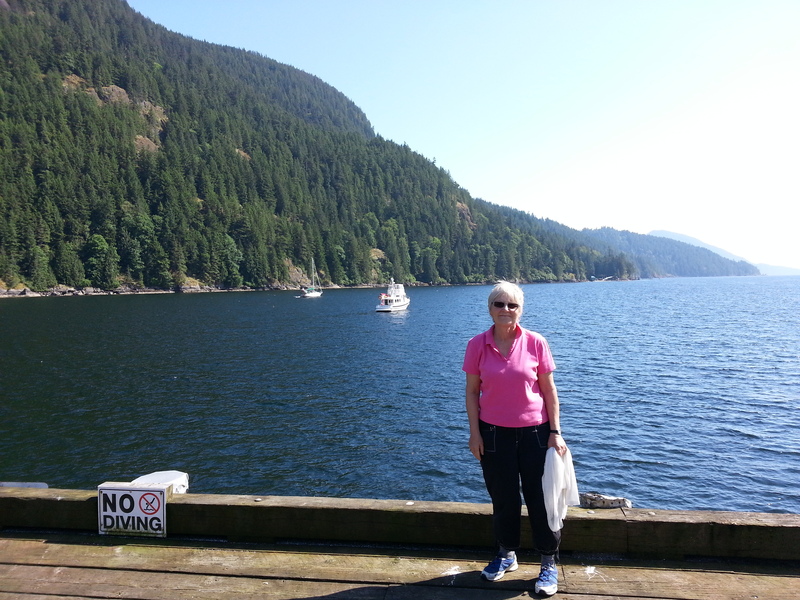 They had to go back today, Sheila will leave this afternoon as well and I am getting ready to cruise up the Sunshine Coast. 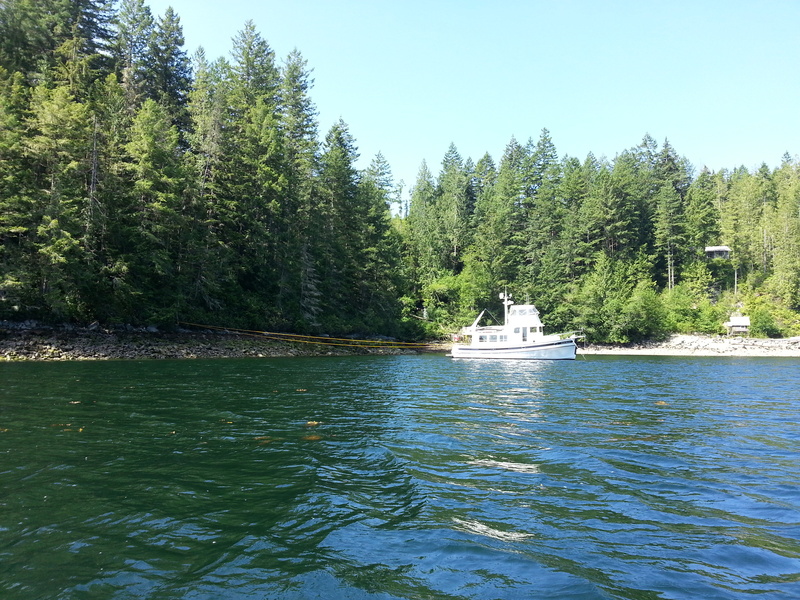 We left Vancouver this afternoon and are anchored in Port Graves on Gambier Island where I stayed in April. The Anglican camp Artaban is in this bay and as it turns out, Sheila went on summer camps here many, many years ago (and still remembers it!). We walked for two hours in the woods, very nice. Ancient Murrelet is still in Coal Harbour and we are getting ready to leave tomorrow for some cruising along the Sunshine Coast. 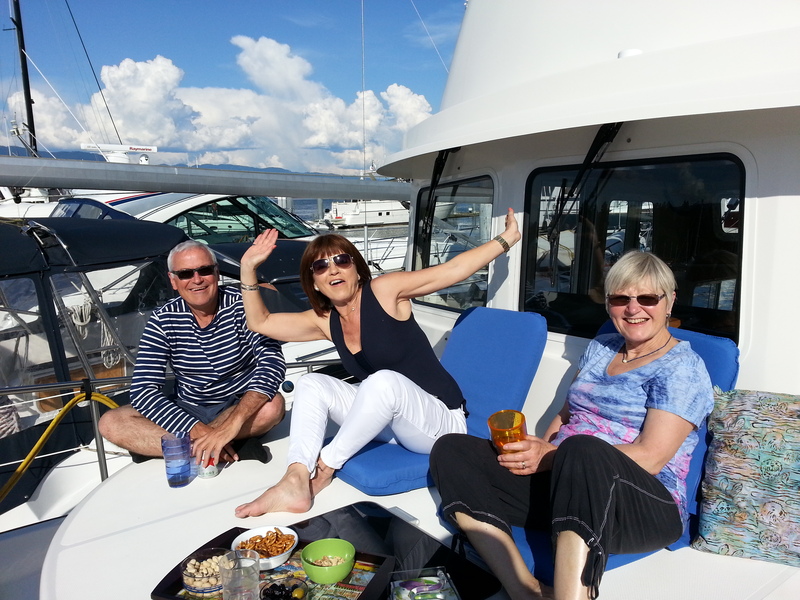 This was a long holiday weekend in BC and besides getting the boat ready, we also had a lot of visitors: Georg and Jutta from Germany, friends from New Zealand with Sheila’s mother and her cousin Kim, and today some friends of ours from the 70s. The weather has been hot and sunny, so sitting on the boat with cool drinks was a terrible hardship. 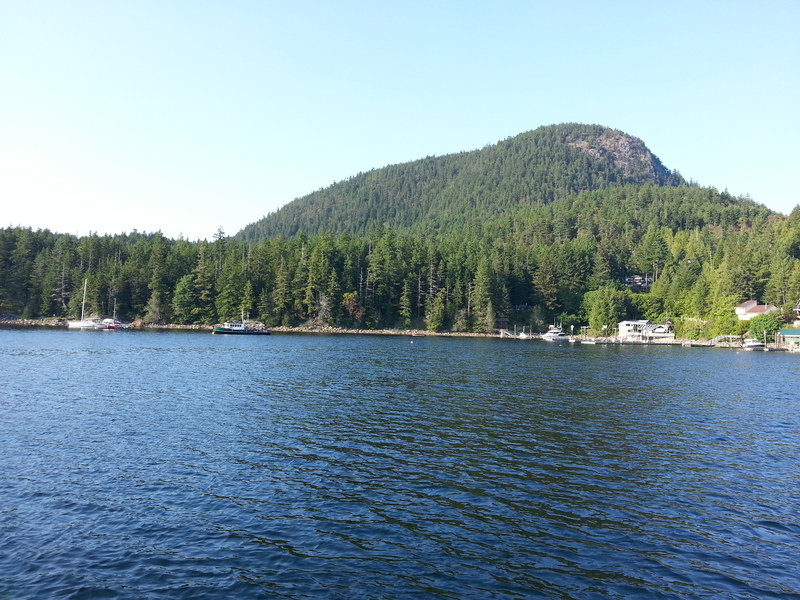 Today, Sheila, Cecily, Keith and I left Coal Harbour early in the morning and went to Indian Arm where we anchored for the day in Bedwell Bay. 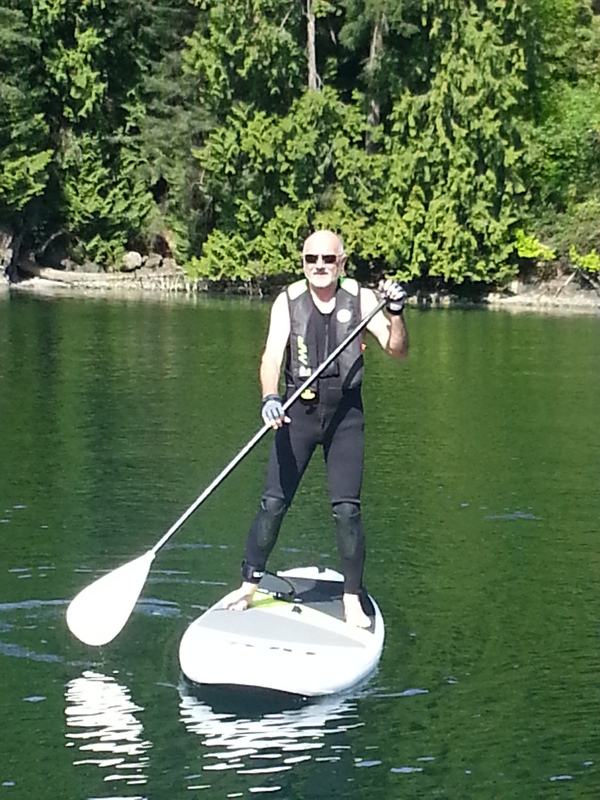 The sun was shining, it was quite warm, and so a perfect time to try out my new toy, a stand up paddle board. Great fun, can’t wait to get the grandchildren onto it. 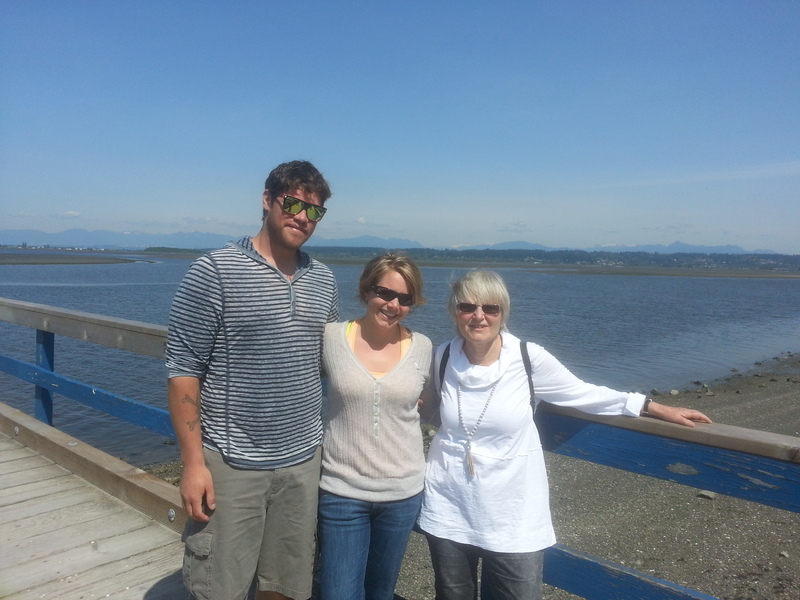 This August we plan to spend a few weeks with Jessica and her kids at Crescent Beach. Yesterday we went there to have a look and meet Cecily and Keith. An authentic and nice Greek lunch was followed by Italian ice cream (difficult to choose among the 110 varieties on offer! ), it all looks good for the summer. That the tide was out and the weather nice also helped. And we had a nice visit with Cecily and Keith and plan to go boating this coming weekend.